But, before to go to the solution, let me show you a tiny example of this kind of gender issues. El vino es bueno. (male) >> all sentences about wines will be constructed through male forms. La receta es buena. (female) >> all sentences about recipes will be constructed through female forms. El gato es bueno. (male) >> all sentences about cats will be constructed through male forms. Our problem in front of these gender issues is that neither PHP nor WordPress provided to us a set of tools for dealing to gender. Both PHP as WordPress have tools for dealing with plural forms (in some languages til 6 different forms of plural…) but there haven’t got any tool for gender (well, PHP has got one. Later I’ll talk about it). And for each one of these three groups, we have to use a different way for marking its gender context. Today, we’ll develop the first of these three proposals. In the case of Post Types and Taxonomies, the most simple way for marking the gender of each one of these objects, specifically the gender of the items that usually belong to, (Cats, Recipies, Films, Forms, Cities… ), it is to add a new element to the array used for creating both of them through the functions register_post_type and register_taxonomy respectively. Afterwards, we have to mark the new element as a translated in a context with the _x() WordPress function. See this example that modifies slightly the official example of register_post_type in WordPress. // some more labels... etc. Doing this, we mark successfully book as male –for example in spanish–, but in the future, if a translator changes the value of “gender” to female in the context of “gender of books” for his/her language then, the object Book becomes female. Adding the gender value to all Post Types, an unique single.php file will be able to deal to all kind of them and will choose the correct translation according to gender because the translator will have translated the string of four _x() different functions instead of just one. Of course, it is possible to use the same technique for marking a Taxonomy but, be carefull, in case of taxonomies, doing this probably we are just marking the object Taxonomy but not Terms that are included on it. 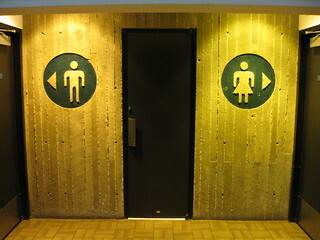 In some cases, perhaps all the Terms of a Taxonomy belong to an unique gender but the most common situation is that each Term has got its own gender. Post about the Color Red, respectively. Entradas sobre el Color Rojo, respectively. because in spanish even the fixed part of the string changes. I hope that this technique will become usefull. In a few days, we’ll develop the other two cases: adding gender to Terms and adding gender to Users. See the second article of this serie.